GOOD MORNING my sweet friends & welcome to our first day of AWESOME SNEAKY PEEKS!! Today my team & myself are showcasing 2 new sets! They are "Whimsical Trees" & "Seasonal Greetings including coordinating dies". For my first card, I am using both of the new sets! The trees are from the "Whimsical Trees" stamps & the sentiment is from the "Seasonal Greetings which include coordinating dies". For this card, I used just the "Seasonal Greetings that has coordinating dies w/it!" Great cards! Love the new dies! Can't wait to see the rest of the release! What cute trees! Great cards-both of them! A friend of mine has added some seed beads mixed in with the sequins to help them move better. Good Morning Miss Emma Oh Girl OMG it's only Sneak Peek Day 1 and what an awesome start for your release I love everything......Your dies are absolutely fun and fab and the stamps are so cool. Love your cards and your shaker card looks so beautiful gosh you did one super outstanding creative job and your tree card is so cute. Thanks for all the great ideas for all of your goodies Now I'm off to give some bloggy love!! EEEK can't wait for tomorrow!! Oh! I just love the trees, Emma! They are fantastic! Looking forward to all the sneak peeks! I am IN LOVE with the Winder Wonderland Card!!!! So very pretty!!! Excited to see what is in store tomorrow!!!!!! OMGosh I LOVE, LOVE, LOVE these trees! They will so soooo FUN to play with. Looks great! Love all the DT projects!! Love your card, especially the shaker card. Can't wait to see the rest of the release. Wow! this looks like an amazing release!!! Can't wait to see the rest! Oh, I LOVE THESE !!! Looks like another Awesome release already!!! Oh my goodness~ Emma how do you always create such neat products that are ALWAYS a must have?!?!? :) Once again you have hit it out of the ballpark! I cant wait to see what else is coming the rest of the week!!! Your tag is cute and happy. Love both your cards and your shaker card is a perfect winter wonderland! The trees are amazing and I love the font! The DT created amazing projects with your products. You always make fabulous designs each release. Wow great job again Emma! Love all your stuff! What amazing projects! Looks like 2 fantastic new sets! As always, you have outdone yourself! I love dies and coordinating and with Christmas just around the corner I'm drooling over the tree die. Very nice cards; I especially like the second one. It looks like you and your DT did another wonderful job showcasing your new products. Both of your cards as so cute! Especially that shaker card! I love it! Love this set. Yay!! I've been wanting trees like this forever!! Emma what gorgeous trees!!! Love your cards and all the DT projects. It is so cool to see the many different ways that the DT used these trees. I cannot wait to see the rest of the sneaky peeks! OMG!!!! How cute are those trees. Love them. Emma ~ Well both of your cards are simply GORGEOUS! I LOVE the first one with the gold trim and the PERFECT size butterfly!!! LOL! Beautiful scene!! Then your Christmas card is simply STUNNING!!! I LOVE the colors and oh my the shimmery paper ~ I think I have that too! The DT's did an AMAZING job ~ LOVE this release! Once again, off to a great start! I love those trees! Wow, your DT has some amazing creations!!!! My favorite has to be the trees as well! I just love sneaky peek week. Love the trees and all of the color. Gorgeous projects from everyone! I love the variety of the tress. This set can be used all year around. Love the trees and your shaker card is gorgeous! ! Ooooooh look at all that "Pretty"! Gorgeous inspiration and the tree idea is awesome!!! Have a great day, can't wait for tomorrow! Great projects DT! Love the new set! Cute new set coming our way YAY! can't wait to see the rest of the week. I can see so much versatility in these two sets. Fabulous inspiration today from the whole team! Emma your cards are gorgeous! I love the shaker card. So so pretty. The new stamps and dies look awesome! Cannot wait! TFS and have a wonderful day! I love...love the projects from you and the Team!! This will be another amazing release!! Great cards Emma! I LOVE the Christmas tree card especially! Those Christmas Trees are gorgeous! 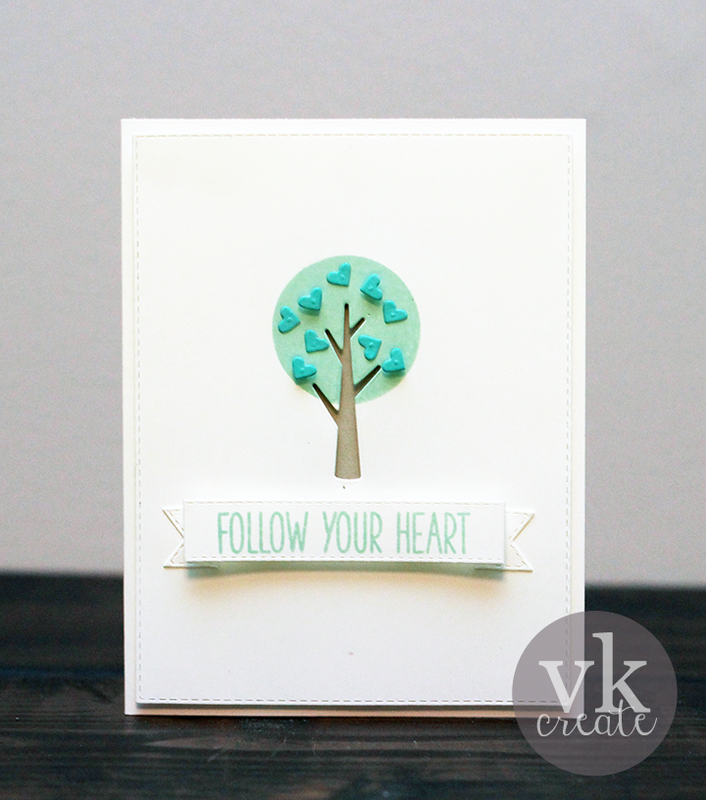 Love these whimsical trees and the stitched dies! The shaker card is so pretty. I've been trying to perfect my shaker card but so far I'm not happy with the results. It was a great hop today. Looking forward to the rest of the week. Wow you ladies did such a fantastic job, love all the projects, you are all so creative!! Another AMAZING release my friend! Awesome dies! I love them!!! Wow what an awesome start to this sneak peek week. I love the trees and the cordinating stamps. Oh my gosh, these cards are adorable! I really love the shaker card! LOVE both sets you showcased today! I did a quick view before I went to work and now I have time to go to all the blogs! Can't wait to get my hands on those trees!!! I Love this set. I'm super duper excited to see a die and stamp. Oh by the way that winter card is awesome! Beautiful cards, Emma! Your shaker card is just stunning in the silver and white! I love this release!!! The Tree card is beautiful and Winter shaker card is GORGEOUS!! One of my favorites! !Amazing DT projects!! OMG!! I LOVE THIS RELEASE!! Those trees are WONDERFUL!! You have another winner, Miss Emma!! Fantastic cards Emma! I love the shaker card..the tree's look awesome and the touch of glitter is so fun! Beautiful projects by the DT!! These trees are darling. Love the cards. Again, I'm in awe of your releases - the stitching on your dies are so eye catching. Wow, I love your cards. Everyone did a great job on their projects today! These are beautiful! Such fabulous designs everyone!! Am loving your chillin winter wonderland card with the cool window scene. Thanks for all the fun. Emma this set is so cute! I love your winter card. Cute trees, love the winter card! Great job on your cards. The new trees and stamps are wonderful. The font on the sentiments is beautiful. I loved the projects for today's sneaks. Great job everyone. OH MY Goodness!!!! I love everything...sentiments, die cuts.... Always great products and the DT do always bring it. your believe card is just stunning. Clean and simple. I love this set...can't wait to use it. I love the variations your design team did with tags and cards. Nice job ladies!!! Your cards are both fabulous Emma!!! 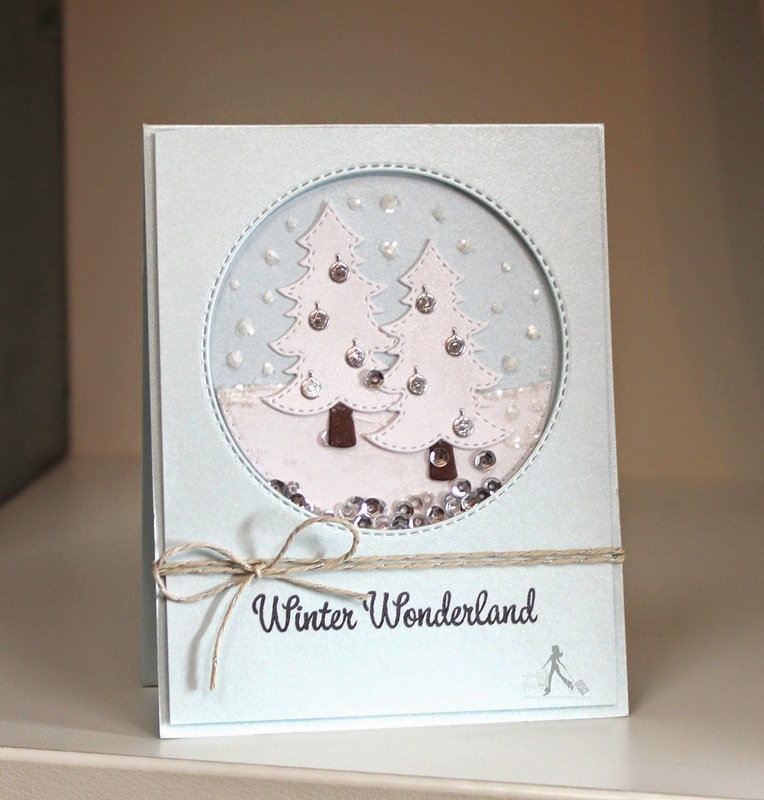 I love that gold sequin ribbon and your winter scene shaker card is so pretty!!! Hugs my friend!! All the projects are adorable! The dies are super cute! Love the skates! Awesome awesome release Emma!